Samsung is planning to roll out the Android 8.0 Oreo update for its smartphones early next year. 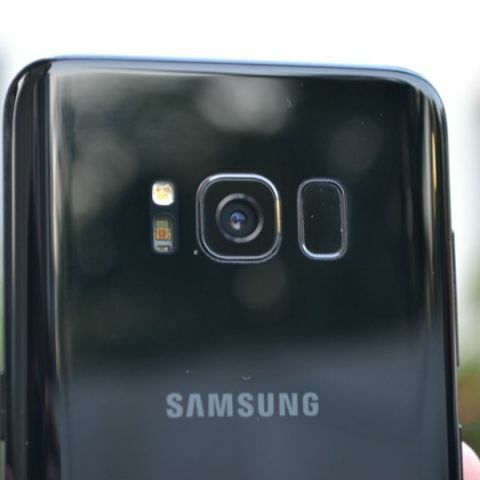 The update is expected to roll out first for the Galaxy S8 and Galaxy Note8 smartphones. Samsung is planning to bring Android 8.0 Oreo update for its smartphones in early 2018. The details of Oreo update rollout comes from an official Samsung Turkey news portal, reports XDA Developers. The portal also notes that work on the pilot model for Android Oreo with Samsung's own customisation has begun and it aims to roll out the update as early as next year. Google made Android 8.0 Oreo official on August 21 and it is currently available for the Pixel and Nexus series. Among Google's OEM partners, Sony was the first to launch smartphones running Android 8.0 Oreo out of the box. The Japanese smartphone maker has also started rolling out Oreo update for Xperia XZ Premium users. However, for a 7-day period ending October 2, the operating system enjoys a share of just 0.2 percent on Android Dashboard. HTC, OnePlus, Motorola and HMD Global have already announced their plans to rollout Oreo for their smartphones but have not offered any definite timeline. HMD Global and OnePlus have started beta testing Oreo update within a branch of users. While Samsung Turkey doesn't offer any specifics about the update, it is expected to first become available for Galaxy Note8 and Galaxy S8 smartphones. It remains unknown whether the update will start rolling out to other smartphones in Samsung's Galaxy A series, Galaxy C series and Galaxy J series. Samsung is also expected to offer Oreo update to Galaxy S7, its 2016 flagship smartphone. Apart from Oreo features introduced by Google, Samsung plans to make its phones faster with the update. The Samsung Turkey statement claims that Oreo update on Samsung phones will "allow your applications to open faster," hinting at improvements to app opening speed. Samsung smartphones should also get support for Oreo features like notification dots, picture-in-picture (PiP) mode, restrictions on background apps, autofill and predictive text selection. The post also mentions 'Night Mode' for warmer colours, which could replace the existing blue light filter mode. will moto E get android L update ?